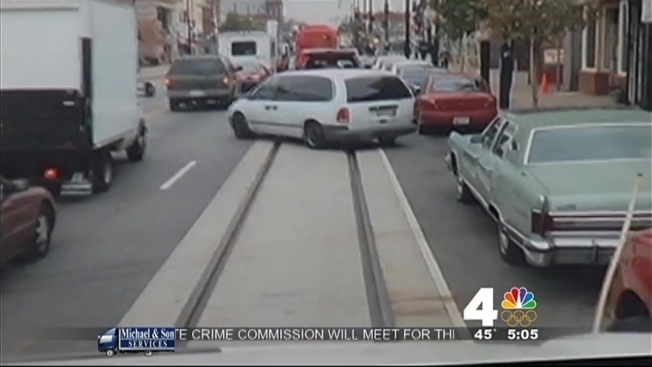 If you park along the D.C. Streetcar Corridor, make sure you are parked correctly. Violators could now face a hefty fine. Monday, officers will enforce parking rules along H Street from Union Station to Benning Road. The best advice if you are driving in the area: Don't block the streetcar tracks. When parking, vehicles must be within the white lines to give streetcars traveling though the area enough clearance to pass by safely. Last week, streetcar testing got off to a bumpy start because of violators. As transportation officials ran a test vehicle on the tracks, cars could be seen driving across the rails and pedestrians blocked the way, according to transportation reporter Adam Tuss. The test streetcar needed almost an hour to travel five blocks. The street cars are slated to be up and running next year.The plan is to eventually have streetcars rolling across the entire city.